Smartphonemagz.com - Looking for a smartphone with great features? Check this Huawei P20 Pro Full Specification out. Along with how massive the production of smartphones in the society is, now people demand more and more efficiency in their daily life. With how dependent the society is right now, smartphones are required to offer great things beyond their small physique. To answer people’s demand, Huawei continues to develop the technology in order to satisfy their customer and attract people in using their products. In this case, they release Huawei P20 Pro which experts considered as the competitor of the latest products released by two other strong brands. 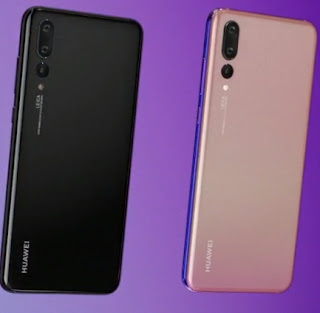 As this device is count to be a whole new innovation in the tech world of smartphone, it seems like Huawei come off strong this year in comparison to Samsung and Apple. Seeing the timeline of release date, people assuming that the device was released in response to Samsung Galaxy S9+ and iPhone X. Well, to be said as the rival of the two products, surely Huawei P20 Pro is worthy enough. Check below for the key features of Huawei P20 Pro Full Specification. The very first thing offered by this Huawei P20 Pro is the pretty design. If most smartphones are painted either in white, black, gold and rose gold, this device brought you the elegant vibe by painted in twilight color. Moreover, to satisfy your aesthetic thirst, the case of Huawei P20 Pro is reflective due to the glass back material as its back cover. For the screen, it has AMOLED technology with the size of 6,1 inches and the resolution of 1080x2240 pixels. If you are someone who likes to snap here and there, then this device is specifically built for you. Yes, as written in Huawei P20 Pro Full Specification, this device is featured with 40MP of rear camera, what’s more, that you desire to have in a phone? That's why this 40-megapixel camera is totally enough to satisfy your thirst for good photos. The best thing about this feature is that it is also equipped with an ability to zoom. Now, this may sound so ordinary but you are allowed to do optical zoom up to 3 times. Imagine the quality of photos that you can get after zooming with this 40MP camera. As for the front camera, this device has the 20MP camera for its user to use and enjoy. Well, you can imagine how your self-camera photos would turn out. Battery often becomes people’s obstacle to using a smartphone. Let alone for people whose life depends on a smartphone, a charger is like the most important thing to bring when they are outside. Now, you have to worry no more because this Huawei P20 Pro Full Specification offers you a long–life battery. The battery of Huawei P20 Pro can long last up to fourteen hours. That is more than half a day already. In addition, this device uses the latest Android version 8.1 or Oreo. For GPU, it is designed with Mali-G72 MP12 with Hisilicon Kirin 970 as its chipset. However, it has no external slot, just 6GB RAM, and 128GB internal storage. So, those are the key features offered by Huawei P20 Pro. Aside from them, there are still many features that you are able to get later. Keep in mind that these features will cost you couples of bucks, but there are no such things as freebies, are they? If you want to know more about this Huawei P20 Pro Full Specification, check their website directly to avoid any misinformation.